Dennis Glover's debut novel tells the story of the creation of George Orwell's masterpiece Nineteen Eighty-Four - originally titled 'The Last Man in Europe'. The story traces the book's origins in Orwell's childhood, its conception after the catastrophe of the Spanish Civil War, and Orwell's heroic struggle to complete it in the face of war, personal tragedy, illness, postwar austerity and totalitarian threats. This new edition of Orwell's dystopian novel, published to coincide with The Last Man in Europe, contains a new introduction explaining the historical background to the novel, casting important new light on its intended meaning. A textual note outlining new findings about the book's publication history explores the mystery of the late disappearance of '5' in the equation '2+2=5'. 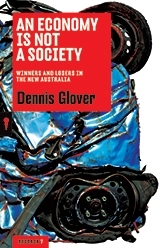 Orwell's bleak novel, Dennis Glover concludes, contains a secret message of hope for humanity. If the high priests of economics wish to take credit for the growth in Australia’s economy over the last three decades, they must also wear the blame for the social destruction that has accompanied it – the devastation of once prosperous industrial centres and the suburbs they sustained, as factories closed and workers were forced to abandon their trades. The social costs of this ‘economic modernisation’ have been immense, but today are virtually ignored. The fracturing of communities continues apace. An Economy Is Not a Society is a passionate and personal J’accuse against the people whose abandonment of moral policy-making has ripped the guts out of Australia’s old industrial communities, robbed the country of productive capacity, reversed our national ethos of egalitarianism and broken the sense of common purpose that once existed between rulers and ruled. Dennis Glover argues that those in power – on both the Right and the Left – must abandon the idea that a better society is purely about offering individuals more dollars in their pockets. What we desperately need is a conversation about the lives, jobs and communities we want for ourselves and our families. Only in this way can our broken political system begin to be repaired. What makes a great speech 'great'? The Art of Great Speeches uses insights from classical thinkers to reveal how great orators such as Barack Obama, Martin Luther King, the Kennedys and others have persuaded their audiences so convincingly. Featuring excerpts of 70 of the world's greatest speeches in history and drama, this fascinating book breaks down the key elements of classical and modern oratory to reveal the rhetorical techniques that make them so memorable. It shows how master speechwriters connect with their audiences, seize a moment, project character, use facts convincingly and destroy their opponents' arguments as they try to force the hand of history or create memorable drama. 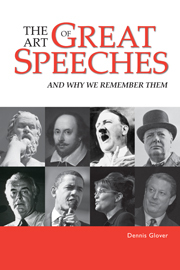 Part history, part defence of oratory, part call for political inspiration, part professional handbook, The Art of Great Speeches does what no other book does – it explains why these speeches are great. 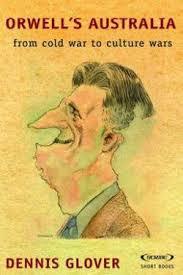 George Orwell has had an astonishing influence on Australian politics, often in ways he would have disapproved of fiercely. More than one hundred years after his birth, his relevance is growing rather than diminishing. Orwell's insights and values represent a challenge and an opportunity for the Australian left, especially because a host of public institutions and once-unquestioned rights are being attacked by a determined and ideologically driven band of radical conservatives, many of whom justify their beliefs through an appeal to the socialist George Orwell. In an era of global war and national insecurity, the Australian left must once again become the defenders of our way of life and political institutions just as Orwell wanted the English left to do half a century ago. The left needs to reclaim Orwell for Australia's good.